Product prices and availability are accurate as of 2019-04-21 16:11:49 EDT and are subject to change. Any price and availability information displayed on http://www.amazon.com/ at the time of purchase will apply to the purchase of this product. 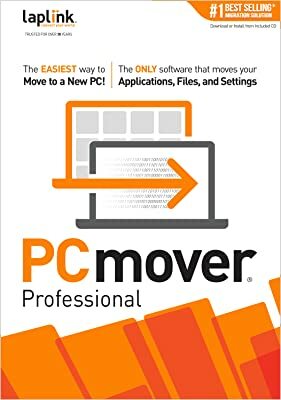 Easy-to-Use - Install PCmover on both of your computers and follow the simple wizard to transfer everything you select to your new PC. 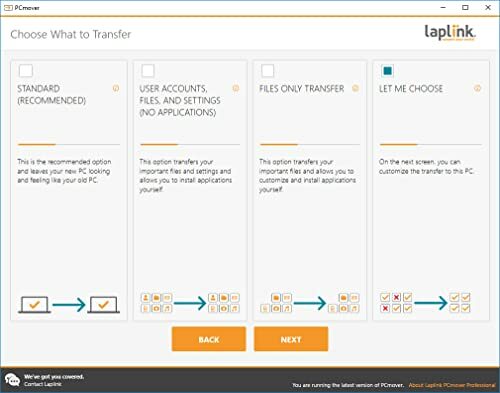 Set It and Forget It - You start the transfer and walk away. 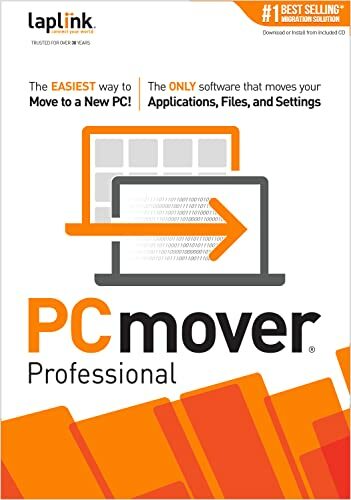 PCmover does the rest! 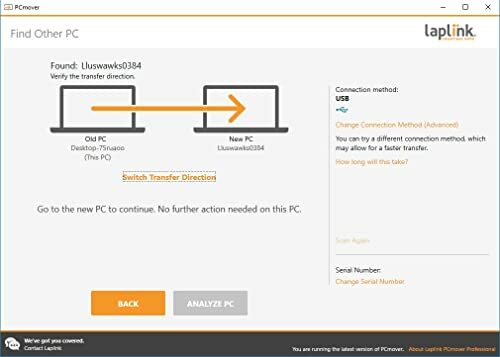 PCs Auto Connect - Discovers and connects PCs using the fastest method detected. 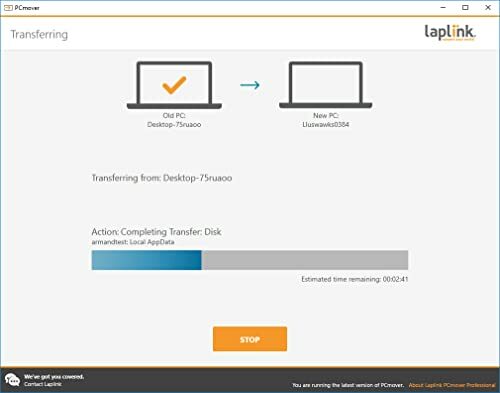 Optimized for Fastest Transfer - Provides maximum performance and time savings. 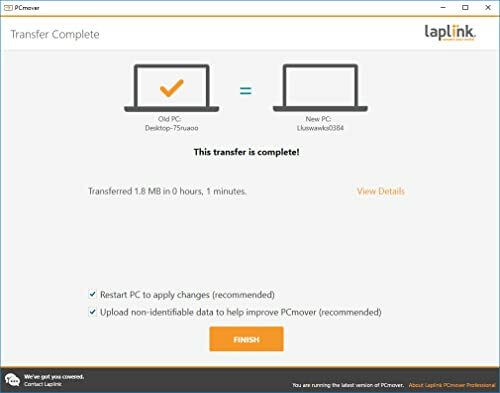 You will quickly be using your new PC with everything ready to go. 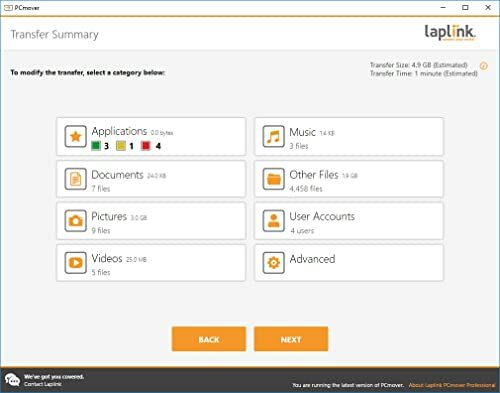 Complete Selectivity - Automatically transfers all selected applications, files, folders, settings, and user profiles to your new PC.